Doomfist might get his first special skin during the ‘Overwatch’ Summer Games. The arrival of Doomfist in the online first-person shooter video game “Overwatch” appears to come with a brand new game patch. The character’s update also includes a brand new highlights system from Blizzard Entertainment. However, “Overwatch” players who are just getting their first taste of the new Hero are already complaining about his ability, with some gamers starting to hate the powerful frontline fighter. According to Forbes, one ability of Doomfist now has “Overwatch” gamers in a rage, with some starting to hate the character. Doomfist’s one-shot ability appears to have become the game’s most hated ability type. 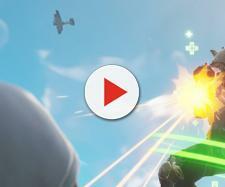 With this ability, the hero can zoom across the game’s map and hit a target for huge damage. “Overwatch” players are also unhappy that it takes a while to charge the character’s Rocket Punch. Nonetheless, this unhappiness has already occurred in the past. For instance, fans hated Roadhog’s ability to one-shot 200-250 health heroes. Also, the scrap gun of the character could even kill a full-health hero. Meanwhile, as the online first-person shooter video game has a pretty large roster of heroes, but the guardian robot Orisa is struggling to find a place in the constantly shifting meta. The video game company launched the newest tank hero in “Overwatch” back in March, but the character hasn’t really been a very popular pick. One of the reasons that Orisa is not that popular is the fact that the character doesn’t have the ability to do a whole lot of damage. Heavy reported that despite the fact that Orisa is viable with the right gamer, “Overwatch” offers better tank options. However, the issue was brought up on the video game developer’s forum, and game director Jeff Kaplan offered a statement. Kaplan stated that the studio doesn’t think Orisa needs a mega buff. But, Blizzard Entertainment is experimenting with some minor improvements. In other “Overwatch” news, the Summer Games 2017 will allow fans to unlock new goodies and they can participate in Lucio Ball. The upcoming “Overwatch” event will kick off on August 8 across Xbox One, PlayStation 4 and PC, and it will last for three weeks. The game director confirmed that the offerings from last year’s event will return at a cheaper price. 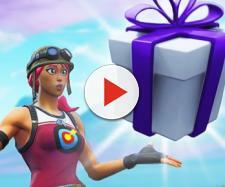 This could mean that players who missed out on last year’s offerings still have a chance to gather their favorite skin. In addition, according to Trusted Reviews, the video game company is expected to launch a selection of new items.